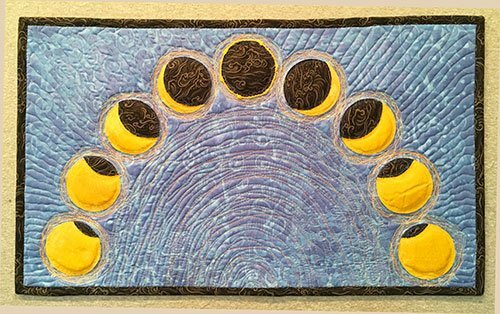 "I realized this week that the upcoming total solar eclipse should be commemorated with a quilt. 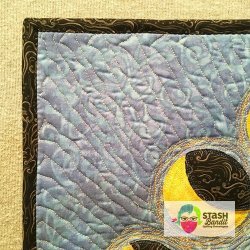 I designed an easy small quilt that goes together quickly. Maybe you’d like to make one, too. 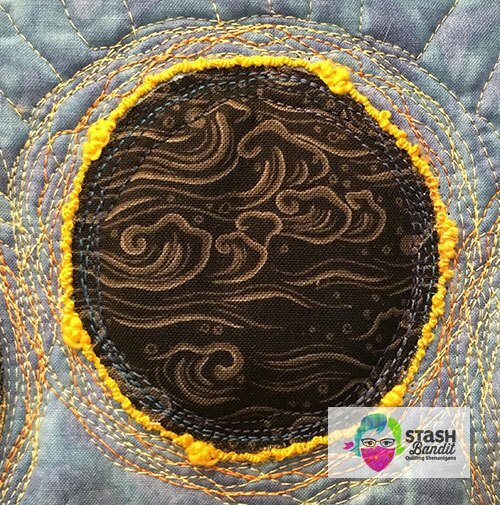 I’m calling it Moonshadow." Please note, the download link for Diane's pattern is at the end of the first paragraph of her article. Enjoy! - ed.